Although vinyl siding is one of the lowest maintenance materials you can add to the exterior of your home, it still requires periodic cleaning to keep it free from dirt and mold or mildew buildup. Typically, the instructions for performing this kind of care should be taken from your specific manufacturer; however, the guide below outlines the standard way to keep your siding in good condition. Usually, all you will need to clean your siding is a garden hose and spray nozzle or a pressure washer set on a medium spray. You can use these tools to wash away basic dirt and grime buildup by starting at the bottom of your home and working your way up. Then, rinse going in the opposite direction. If you still have some dirty spots after spraying your vinyl, it is time to implement a cleaning solution. Mix one gallon of water, one-third cup of powdered laundry detergent, and two-thirds cup of trisodium phosphate (TSP) cleaner. Then, take a long-handled, soft bristle brush and dip it into the solution and begin gently scrubbing the vinyl from the bottom to the top. When you are finished, use your garden hose to rinse away the chemicals. 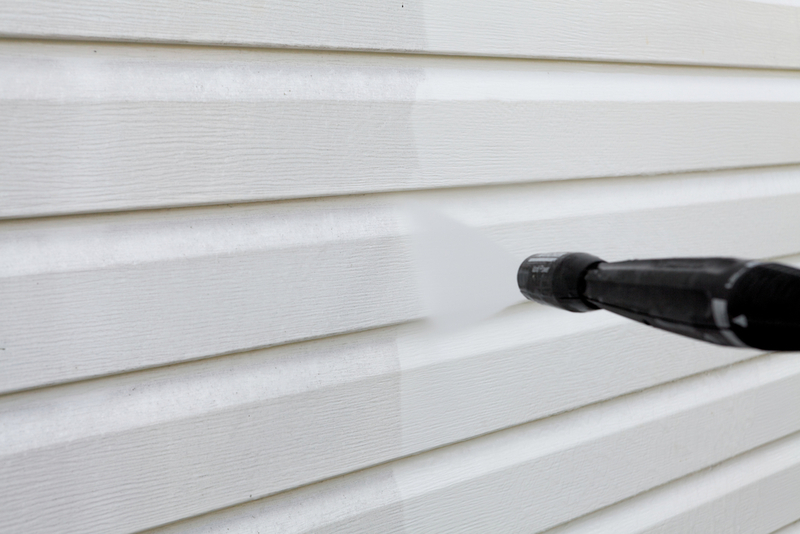 If the remaining buildup on your siding is mold or mildew, you will need a more specific cleaning solution to remove it. This could be a product suggested by your manufacturer or one quart of bleach added to the solution above. However, before using this specific mixture, take care to cover any plants surrounding your home and put on gloves, a long sleeve shirt, and goggles. Also, let this solution rest on the siding for at least 10 minutes before scrubbing it with a bristled brush. When you’re finished, rinse it away like normal. During your cleaning, if you notice part or all of your vinyl siding has been damaged, contact the general contractors at CL Siding & Construction. They have provided reliable siding installation work to the Newark, OH, region since 1996. To schedule a free estimate, call them today at (740) 323-1406. You can also visit their website to learn more about their construction services.